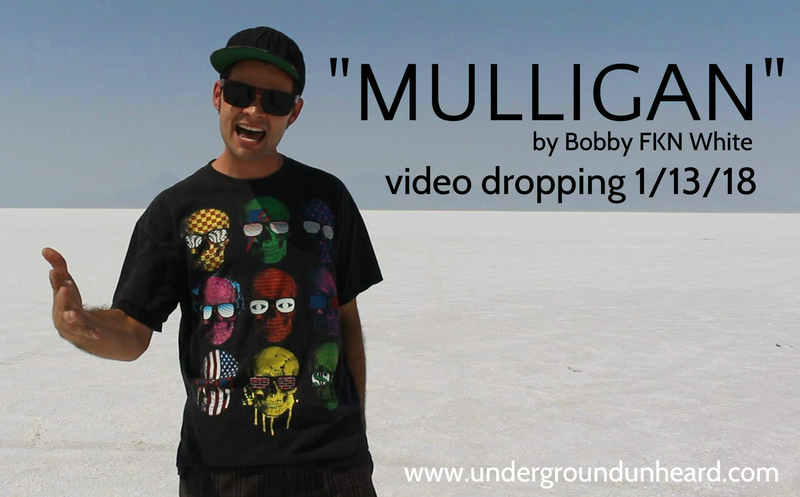 January 13, 2018 #UUcrew rapper Bobby FKN White will be releasing “Mulligan” accompanied by a video. The song will be the first single off Bobby’s upcoming album “Singles & Wrinkles 2” and will be available via soundcloud and YouTube. The track, “Mulligan”, is produced by Asheville NC Hip Hop artist Spaceman Jones with featured scratches by #UUcrew co founder Relik of True Believers and Battle Axe Warriors. The video was shot in 3 locations, Philadelphia PA, Salt Flats UT, and the Pacific Crest Trail, Washington over the summer of 2017 and is edited and produced by the legendary Robin Flak.